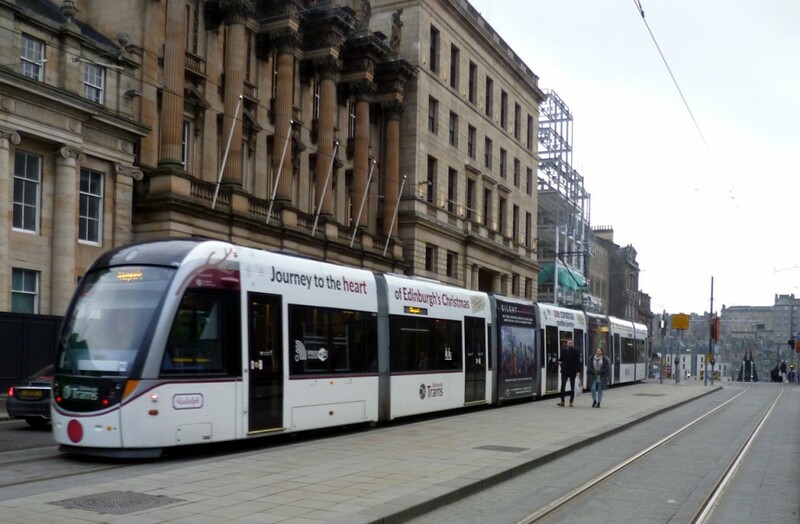 276 stands departs from St Andrew Square on 12th December showing off its Christmas advert. Behind the tram the building with the flagpoles is the ex-British Linen Bank, ex-Bank of Scotland and future Gleneagles Hotel whilst the building above the middle section of the tram is the Edinburgh Grand (apartments, bar and restaurant) which was originally the headquarters of National Bank of Scotland. Also visible is a new build development which will be known as the Mint Building which will be retail and offices.